The translation business is such that it is by its very nature very web-centric. A large number of new transactions and the majority of existing client transactions are initiated and closed on the worldwide web. As an example, if your search has landed you on one of our Translation Business category pages, it's likely because you found us on the web through a geographic specific 'long tail' keyword search, maybe something like toronto spanish english notarized translation, via the Google, Yahoo or MSN search engines. In all likelihood, your first contact with us will be via e-mail. And, in all likelihood, we will respond via e-mail. There may be one or two telephone conversations. Once your order is placed with us, interaction with translation resources at our end is done virtually exclusively via e-mail. A prospective client located in Winnipeg sends us an e-mail requesting information. From our Ottawa location we respond. (We could be in Siberia for all the client knows – or cares.) There may be a number of e-mails exchanged until we've nailed down the translation assignment's requirements and our quote has been accepted. We then place the project with one of translation resources via e-mail. He or she could be located anywhere since our roster of freelance translators are widely dispersed across North America (perhaps even next door to the client or in Texas or wherever.) It really doesn't matter where. 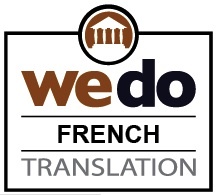 So long as the work is performed by a properly qualified translator who honours deadline commitments. So the work gets done and when complete is sent back to us (via e-mail, of course) for final vetting and quality control. Once we're confident that it's right, we e-mail the finished product back to the client and issue an invoice (oftentimes via e-mail). The point of this recital is that the only constraint to getting a translation assignment done is access to the internet. So, if you have the capability to e-mail us, no matter where you are, we can assist you. 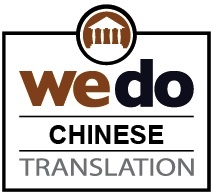 This translation business website is chock full of language translation resources. To find exactly what you're looking for, try searching our website index via the Quick Search feature located in the upper left hand corner of this page. For a more detailed search, try our Advanced Search capability. 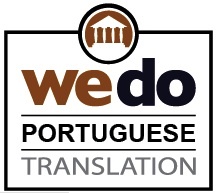 We Pay Our Translators: On Time! Every Time! Find New and Used Proofing & Editing Books and Multi-Language Reference Material in the CILFO Translations Proofing & Editing Resource Store. If you have surplus proofing and editing books or language reference material, why not list it FOR SALE in the TRANSLATORS' STORE on FreeTranslationClassifieds. Find New and Used Translation Books and Multi-Language Reference Material in the CILFO Translation Bookstore. If you have surplus translation books, translation software or translation reference material, why not list it FOR SALE in the Translation Classifieds TRANSLATORS' STORE. Find New and Used Proofing & Editing Resources and Multi-Language Reference Material in the CILFO Translation Bookstore. With 150 million Spanish speaking people in North America and an estimated 40 million+ of them surfing the internet, it may be time to avail yourself of some Spanish language resources. Find a Spanish language website translation service near you. Have you surfed the web in South America lately? Do you know what your Spanish-speaking markets are thinking or what your competitors are saying and doing in other languages? Translation software isn't just for translators. Give your business a competitive advantage with any one of the high quality language translation applications available in the amazon.com powered Translation Classifieds Software Store. "When in Rome..." Get maximum value out of your travel dollars, Nothing beats being prepared and there's no experience like mixing with the locals. What better place to find the language travel resources than on a website frequented by linguists and the global linguistics community. TranslationClassifieds.com: Everything the web has to offer in terms of books, reference material, software and hardware that is of particular interest to translators, as well as the translation and linguistics community can be found here. In addition to the full selection of amazon.com books and supplies we offer a broad selection of name-brand material from the linguistics community: SYSTRAN; Babylon; LingvoSoft; Rosetta Stone; Transparent Language; LanguageCourse.net; SmartLink; Praxis Language... and much, much more. LANGUAGE LEARNING MADE EASY IN! Full Range of Rosetta Stone products available directly in the CILFO Trfanslations amazon.com powered Rosetta Stone language training store. Translate any text or Web page directly from your desktop!